Erlend Skomsvoll (conductor); Sissel Vera Pettersen (vocals, alto saxophone); Kjetil Møster (bass clarinet, saxophone); Eirik Hegdal (clarinet, saxophone); Martin Myhre Olsen (alto saxophone); Hanna Paulsberg (tenor saxophone); Eivind Lønning (trumpet); Hildegunn Øiseth (trumpet, horn); Oyvind Braekke (trombone); Chick Corea (piano); Ole Morten Vågan (bass); Håkon Mjåset Johansen (drums). As Artist in Residence, pianist Chick Corea (1941) shows us just how expansive his repertoire is. He is not only performing in a duo with banjo great Béla Fleck and with his own legendary Elektric Band, but also with Norwegian ensemble the Trondheim Jazz Orchestra as a soloist and composer. This unique orchestra consists of a pool of musicians with a changing lineup and instrumentation. Corea first played with them in 2001 but it didn't stop there: they were together again – and enjoyed success – in 2006 at the Hilton Ballroom and afterwards at the Tokyo Jazz Festival. 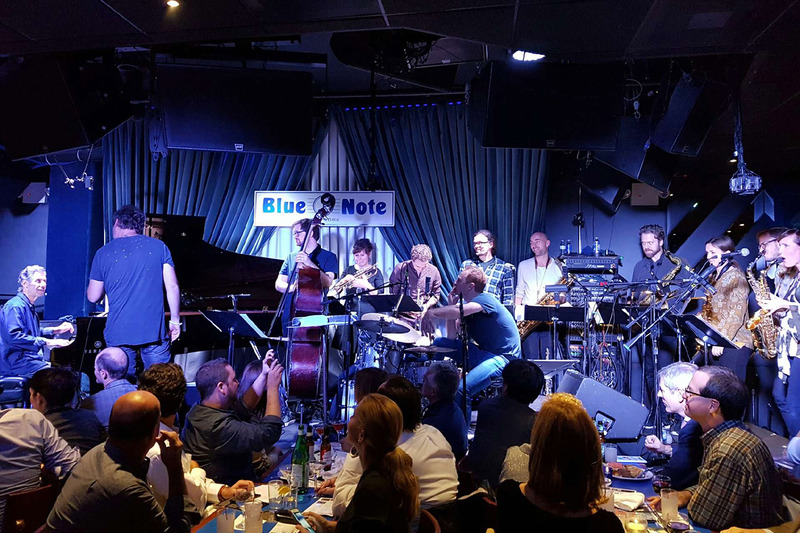 In November last year, the orchestra was a guest act at the Blue Note Club in New York when Corea held his 75th Birthday Celebration there. According to All About Jazz the ensemble is a 'far-reaching orchestra clearly capable of handling anything and everything that's put in front of it.' This ability has also led jazz musicians such as Pat Metheny and Joshua Redman to choose the Trondheim Jazz Orchestra for their projects. At North Sea Jazz this creative and versatile orchestra is conducted by conductor-arranger Erlend Skomsvoll.